Today's card features some more goodies from Jillibean Soup's Healthy Hello Soup collection! 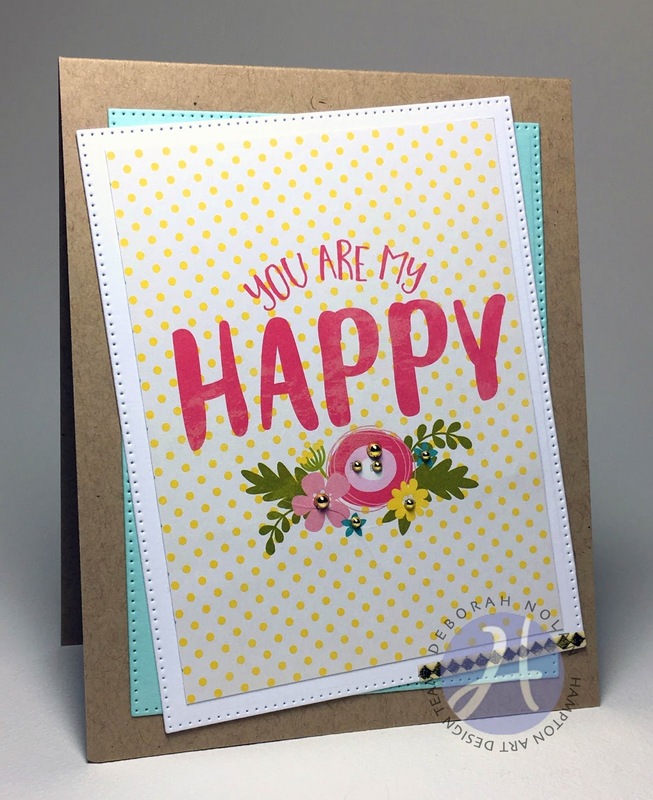 Make a 4.25” x 5.5” base from kraft cardstock. Die-cut aqua and white panels, layer, and adhere to card. Apply washi tape to bottom of white panel. Cut sentiment panel from PP and adhere to mat. Love this card. I am trying to teach an older lady how to make lovely, easy cards. She is 83 and loves to send homemade cards. This is great. Thanks for sharing.